FOR COMMUNICATION WITH SUBMARINES ? The main reason for this is the extrem low frequency signals ability to penetrate deep down below the surface of the ocean. Not only will the ELF frequencies penetrate water, but also thick sea-ice, making it possible for submarines to receive orders while they are travelling under Polar Icecaps. Down there in the oceans at depths often below 300 meter, is a fleet of nuclear armed submarines, from both east and west, playing hide and seek with each other and the respective “enemy” nations sophisticated surveillance equipment. Nuclear powered submarines can stay at these depths for weeks, without the need to break the surface for fresh air or other supplies. The main problem is to get information of what is going on at the surface, down to the sub. In waters where the submarines patrol on a regular basis, there are most likely several near bottom fixed stations for hydro-acoustic communication. This system links the submarine with coastal points relaying radiosignals. Underwater sound communication is quite effective for joint tactical actions of submarines with other sub and / or surface ships. As these underwater acoustic communication systems is intended for comparatively short distances, up to 10-30 km, problems arise when the submarine operate outside the normal areas, far from the save waters covered by national defence and communication systems. Out in the no-mans land of the international waters are the only means of communication with the submarines, to use radio in the VLF or ELF range. The radio signals ability to penetrate water depends of the frequency and the salinity of the water. In the middle of the Atlantic ocean, with a salinity of 3.2 %, a VLF signal will penetrate down to a depth of 10-20 meter, barely periscope-depth for a modern large scale submarine. In areas with less salinity, like the Mediterranean Sea or in the brackish waters of the Baltic Sea, the same signal will be possible to receive at a depth in excess of 40 meter. For submarines operating deeper then this, is the only solution for a one-way communication link with the surface to use radiowaves in the ELF, extrem low frequency range, below 3 kHz. As of today both the Russian Navy and the US Navy operates ELF transmitters capable of communication with their respective submarines at their operational speed and depth. 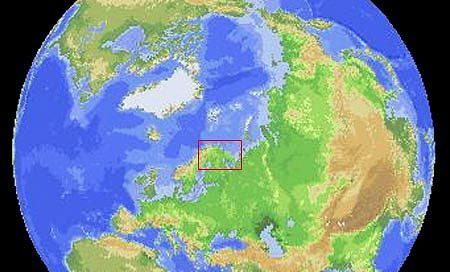 The Russian ELF transmitter Zevs, is located north/west of Murmansk - 69°N 33°E, at the Kola Peninsula in north-western Russia. 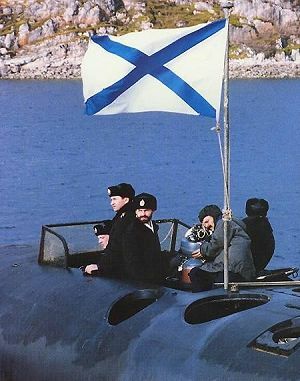 In the Murmansk area on Kola are the homeport of the Russian Northern Fleet and a multitude of other military installations, like the Russian Arctic Fleet Air-force operating from the Olegonorsk airfield. One must assume that the Tu-142 MR ( Bear J ) "radio retranslator" aircrafts stationed at this airfield, together with ZEVS and the RDL 18.1 / 21.10 kHz VLF transmitters are the backbone of the ELF/VLF communication link between the Kremlin Op-Center and the Russian nuclear-armedsubmarines. To build and operate an ELF-transmitter is neither an easy nor cheap economically and technically task. The antenna system needs a lot of space and the transmitter requires a small power plant of it’s own, but also the geological conditions at the antenna site must be taken under consideration before the building starts. covering the baserock like igneous granite and metamorphic gneiss. Areas to look for, are where the remnants of the very old Precambrian mountain belts, are to be found close to the surface of the earth. transmitting antennas are countries with geological remnants of long gone, eroded mountain ranges, like in Scotland. GlenGarry Forrest in Scotland was intended as a location for a Royal Navy ELF transmitter operating on 72 Hz, for communication with the Trident submarines. This project was tested but the expenses contra efficiency was to high and after a political debate was the Glen Garry ELF communication station turned into history. With a transmitted signal as low as 82 Hz or 0.000082 MHz ( equals a wavelength of 3658536.5 meter or 3658.5 km ), we are talking real longwaves. At the Zevs military operating frequency, is the wavelength more then ¼ of the earths diameter. If you think your backyard is too small for a half wavelength dipol-antenna at the 80 meter radio-amateur band, try to imagine a half wavelength dipol-antenna at a frequency as low as 82 Hz. At this extrem low frequency, the half wavelength dipol antenna, would need to be 1829.25 km long, this is longer then the distance Moscow-Berlin or London-Napoli in Europa. And the 82 Hz dipol would need to be longer then the distance between Miami-St.Louis or New York-New Orleans in North America. Even the distance between Renato’s QTH in Cumiana - Italy and mine here in Halden - Norway, at close to 1660 km, is shorter then a 82 Hz half-wave dipol. But luckily for the designers of the ELF station Zevs, is there no need to design and construct gigantic antennas like these very large theoretical dipol antennas, to get a useful signal from the transmitter-site high above the arctic-circle near Murmansk, to the Russian submarines deep beneath the waves of the oceans. The solution to this gigantic ELF antenna-problem, is in fact right under your feet. The Russian ELF transmitter Zevs, was during the early 1990’s detected around the globe, by several radio noise measurment systems operated by Stanford University. The 82 Hz signal was even received at the base at Arrival Height in Antarctic ( 78°S 167°W ). At that time was there no information available about other ELF transmitters, then the US 76 Hz system. And the contrast could not have been bigger, there was an extensive literature covering the development and deployment of the US WTF / MTF dual antenna transmitting system. The Stanford University scientists, quickly assumed that the source for the 82 Hz signal was in Russia. This logical deduction was based upon the comparatively large signal strength of the 82 Hz transmission at the Søndrestrømfjord – Greenland, scientific station, and by references to a Russian ELF transmitter in a novel (!!!) by Tom Clancy, who has a reputation for accuracy in regard to defence matters. They also predicted the construction and orientation of the transmitter antenna as a long horizontal electric dipole, oriented in an approximate east/west ( EW) direction. W is found using a formula based on propagation constants and corresponding skin depth of the individual conductive layers of the ground beneath the ELF antenna. For simplicity we declare that W=h1 where h1 is the depth of the first conductive layer. The average effective conductivity of the earth beneath the WTF / MTF antennas is approximately 2.4 x 10-4S/m, which gives an effective depth of W ~2.6 km at a frequency of 76 Hz. 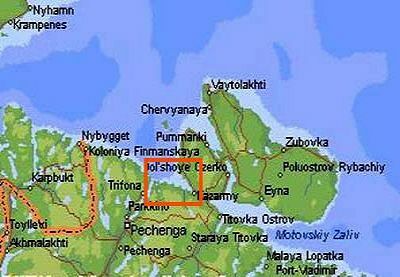 For the very low conductive Kola Peninsula area, there is a first layer with a conductivity of approximately 10-5 S/m down to a depth ( h1 ) of close to 10 km, beneath which is a second layer with a conductivity of approximately 10-3 S/m. Because of the very low efficiency, the effective radiated power is only a couple of Watt’s (!!) but that is enough to secure near global coverage at these frequencies, when the earth itself is the actual antenna. The Zevs 82 Hz transmission is technically speaking, making use of a minimum shifted carrier, MSK. This type of transmission mode, is in use by nearly all modern submarine-communication VLF band, 3 – 30 kHz, transmitter facilities. What makes the transmission mode of the ZEVS and similar ELF transmitters so unique, is the very narrow frequencyshift of the transmitter carrier, during the message phase of the transmission. The widest frequency shift observed, is in the narrow range 81 Hz to 83.3 Hz, at the start of a transmitted message ! The carrier shift of only 2.3 Hz. makes up the difference in a mark and a space of the MSK signal. That obviously calls for some rather sophisticated decoding software used by the onboard communication computer-system of the submarine. The ELF carrier frequency is shifted from the normal carrier frequency of 82 Hz, down to 81.6 Hz and up to 82.7 Hz, prior to this message. This is most likely the “message waiting” call function of the Russian ZEVS transmitter. A Zevs transmission recorded in Italia by Renato Romero on the 8th of December 2000, at 08:40 UTC. The “message waiting” signal, 81.6 Hz low for 8 minutes, 82.7 Hz high for 4 minutes is easily detected in thespectrogram. After the 16 minutes long message sequence of the transmission is again the carrier at 82 Hz. Because of the long exposure are the Schumann resonance bands easily visible at the bottom of the spectrogram. Even after reduction in the number of both Russian and American nuclear weapons, are there still enough atomic warheads, onboard submarines around the world, to wipe us off this planet once and for all. When you are in control of the worlds fate, you don’t want by accident- to start a nuclear ragnarock, leading to the third and last world war on the homeplanet. There for are the on-ship communication computer set up to look for priority messages. The clue is to construct codes that don’t make to much harme, if the message is misunderstood. Very little is known about the actual code used by the Russian ELF transmitter at the Kola peninsula. If I had known the actual code, I would not have given the info anyway, so restless decoder addicts must cool down. What is much more interesting then the actual code, is how these very slow transmission systems deliver the message to the receiver. The Zevs transmitters nearly worldwide coverage, makes it possible to send one-way messages to submersed Russian submarines, in both the Atlantic and Pacific oceans. With the aid of ELF transmitters like the Russian Zevs, nuclear powered submarines can stay under water at operational depth with operational speed for weeks and months, out of sight for the “enemy”. The crudest way to contact a deep submerged submarine, is to use the carrier of the ELF transmitter as a “bell ringer”. Much like in the classical gangster movies, “don’t call us we call you” The captains orders for the mission, received at the homeport, ordering him to take the submarine to a specified location and stay there for a specific time, if not an ELF signal with the right frequency is detected by the computer on board the submarine. If such a signal is detected, several actions are taken. A possible scenario is to bring the sub from the secure deep waters to more shallow water, in order to receive new orders on standard communications frequencies, ranging from VLF and upwards. 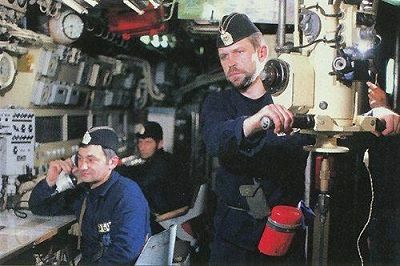 INSIDE A RUSSIAN SUBMAR. TYPE 227, THE SUB IS AT PERISCOPE DEPTH This can be done by launching the ELF/VLF communication buoy, which makes it possible to receive radio messages, target designation data and satelitte navigation signals while remaining at a reasonable safe depth. Russian submarines like the type 667 “DELTA” has two of these floating communication buoys. Or with increased risk of being detected, the captain might take the submarine up to periscope depth and make use of satellite or other high data rate communication.To make use of the Zevs’ full potensial as a one-way, but worldwide, communication tool, requiresome slightly more sophisticated message coding. 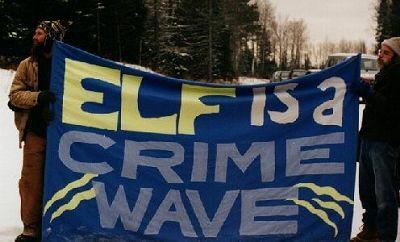 ELF transmissions make use of a very slow data rate, this combined with high natural noise-levels at the frequencies used, put special demand on the coding used for the message. Messages making use of direct orders like: “ fire ballistic missile 2,4,6,8 with preprogrammed address and ballistic missiles 1,3,5,7 redirected to 59°8’12’’N 11°23’55’’E “( my QTH ! ) is not very likely, as a thiscertainly will cause an irreversible effect (!) if this NOT was the intended message, but something incorrectly decoded, by the communication computer onboard the submarine. With a transmission format using only a single three letter code and repeating this single code for the 15 minute message segment of an ELF transmission, it would still be possible to signal some 35937 different codes (33x33x33=35937) when the 33 letter Russian alphabet is used. The coded message sent is a repeated, error correcting code. The bit rate is a few bits per minute repeated until enough data is accumulated to let the receiver decide if a letter has been received successfully. At the end of the message segment it is expected that three correct characters in the codeword have completed the “journey” from the ZEVS transmitter to the submarine. In the early 1990’s the Zevs transmitter was at several times observed using telegraphy and morse code. If the Russians still use this mode and code, the same rules apply for this type of communication. The length of each dash or dot is of course very long, compared to normal speed morse - as heard on the radioamateur bands. Instead of keying the carrier on and off, it would be beneficial for the quality of the transmission to use frequency shift in the transmitted carrier instead. For an example on how this works tune to MKL, an LF transmitter, operating at 82.75 kHz from Kinloss in Scotland, MKL use this mode and code for the TAFS ( weather forecast / report ) transmission on the hour, every hour. Some sources list other kinds of operational modes for the ELF transmitters like Zevs, some of them obviously monitored during test transmissions. But the simplest mode of them all and the most frightening one, - is the “continous transmission” mode. A specific code, “the situation is normal” is continuously sent, more then foreseen and programmed breaks in this chain of OK’s, signal that an “extreme situation” has been established. This break in, and loss of all data from the surface, is an order to start a new sequence of actions based on this new situation on land. Obvious a communication mode for a nation, already in full nuclear attack alert. Let it never happen. In contrary to the US dual WTF / MTF facility, is the CIS ELF transmitter Zevs at the Kola peninsula, not exclusively used for military communication purposes. The ELF electromagnetic waves do not only penetrate water but also the ground to great depths. This propertyare used for geophysical research. Electromagnetic sounding and monitoring of the earths crust was in 1994 performed by Earth Crust institute of St. Petersburg and the Geological institute of the Kola Science Center. Frequencies used was in the range 31-166 Hz and high resolutions of signals could be measured up to several thousand of kilometres from the source. From 1995 and onwards the Zevs transmitter has been used in various research projects connected with seismic activity monitoring. Precursors like variations in rock conductance and ionosphere disturbance are important early warning signals for earthquake preparation. The use of the 82 Hz Zevs carrier provides a higher accuracy of measurements, making it possible to extract data from very deep soundings not earlier possible by using standard sources of pulsed electromagnetic field. 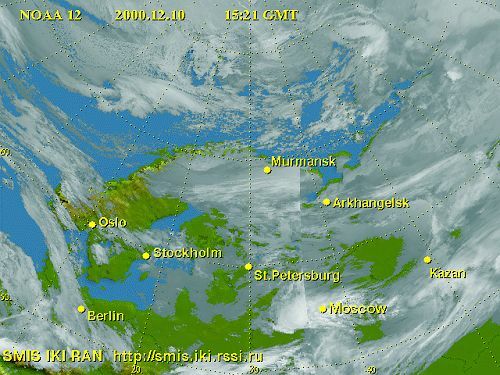 In Northern Caucasus, at 2700 km from the Kola Peninsula, is the 82 Hz field strong enough to make confident measurements using standard wideband ACF-2 instruments for audiomagnetotellurics ( AMT ) soundings. Closer to Kola, at distances of “only” 950 km on the Karelia isthmus is the 82 Hz ELF signal used for collecting correlation data for the vertical tide deformation of the earth surface. This deformation also causes changes in the earths conductivity, in the same way as before an earthquake. This normal deformation correction data, of up to 20 cm at the Karelia test-site ( but up to 60 cm tidal deformation is normal at the equator ), is necessary to effectively analyse early warning signals before a possible earth quake. In China is this promising method for earthquake detection, used in the experimental studies and cooperation between Institute of Geology, China Seismological Bureau in Beijing and St. Petersburg State University in Russia, at several test-sites in the vicinity of Beijing, Baodi and Jixian in northern China. Search for ELF on the web and you get quite a number of hits, directing you from small fairies and elfs, via a French oil company, to the wildest histories about death rays, mind control and electronic warfare. gadgets we humans all like to use and vorship, will of course interact with those natural occurring signals. A well known authority in the field is once quoted like this: “The human body is an electrically conducting fluid – just a big sack of salty water. Any fluctuating magnetic field in a conductive fluid sets up electric currents. “This is supposed to have an effect on the natural electrobiological signals in the human body. How this will affect the human race in the long term, we do not know. What is certain is the fact that lot of non-technical writers, do like to call; HAARP, The absent Russian wood-pecker, and standard VLF transmitters for ELF. A for all things “evil” suitable mysterious phrase.Transmitters using HF transmission frequencies, but with modulation signals in the ELF range, like some HF Over The Horizon Radars, OTHR’s, are not at all ELF transmitters. 2.2 Hz unidentified submarine communication received by Renato Romero in Italia The same apply to ionospheric heaters like Eiscat and HAARP, the ELF signal is the secondary product of the HF transmission. With transmitters like HAARP, who modulate the polar electrojet with ELF frequencies, is also the gigantic antenna problem a thing of the past. Now, not only the earth, but the atmosphere to, act as the radiating element. The HAARP transmitter facility at Gakona in Alaska is using this effect for (test ) transmissions at 2.2 Hz to US submarines. A future focus of interest and well worth the effort, to investigate into, is the very interesting information regarding other kind of manmade Extrem Low Frequency transmissions, like various tethered ELF antenna tests, both within and without the earths atmosphere. There are also some rumours, that among other is the Indian Navy very much interested in an ELF transmitter facility to communicate with their Russian built Kilo class submarines. Antony C. Fraser-Smith: Reception of ELF signals at antipodal distances. Tom Clancy: The hunt for Red October. Gerd Klawitter et al: Langwellen und Langstwellenfunk. www.fas.org : various articles regarding ELF and defence matters. Jerry Proc: Operating at ELF Frequencies. www.istc.ru : example of non-military use of Zevs. M.L Burrows: ELF communication antennas. THE WORLD WIDE WEB for a multitude of interesting ELF related articles. Renato Romero, Väinö Lehtorantha, Manfred Kerckhoff and Dave Oxnard For valuable information and great inspiration.